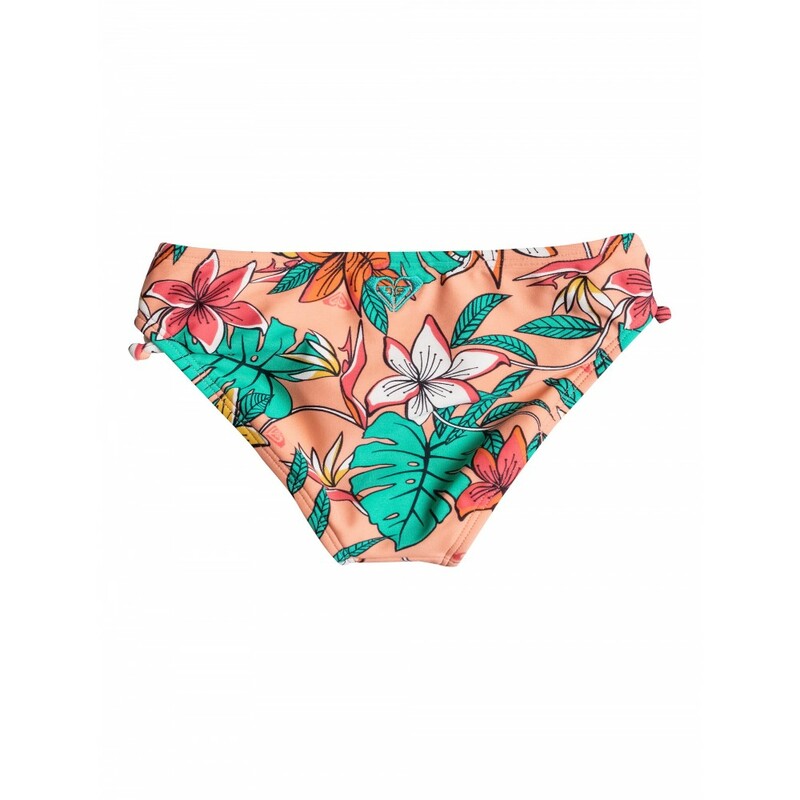 This cute tiki tri bikini features a coral shaded jungle print, shirred tie detail at the sides of the basic pant, and Roxy logo embroidery on the top and at the back of the pant. ROXY™ Kids 0-8 Island Dreamin Tiki Tri Base Pant Bikini - This cute tiki tri bikini features a coral shaded jungle print, shirred tie detail at the sides of the basic pant, and Roxy logo embroidery on the top and at the back of the pant. 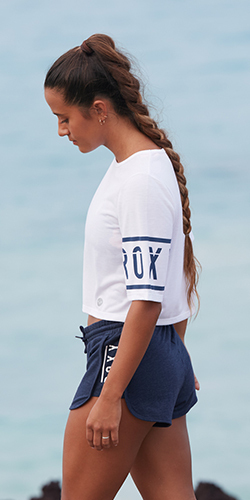 Roxy logo embroidery on top and back of pant.